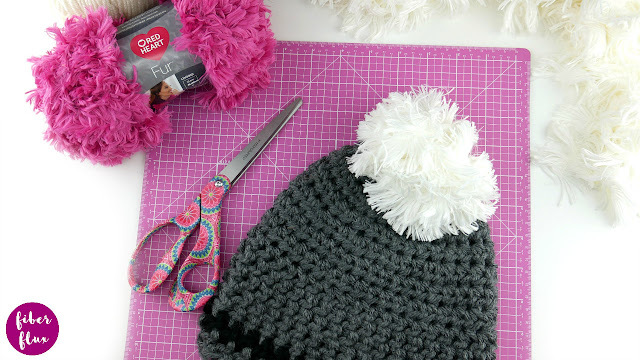 Faux fur pom poms are super popular right now and I couldn't resist grabbing some yarn and trying my hand on a DIY version! This cute and fluffy pom uses less than half of a ball of yarn, so you could easily get two of them out of one ball! I don't use any fancy tools either, just a pair of scissors is all you need. Need a little extra help? There's a full video tutorial too! 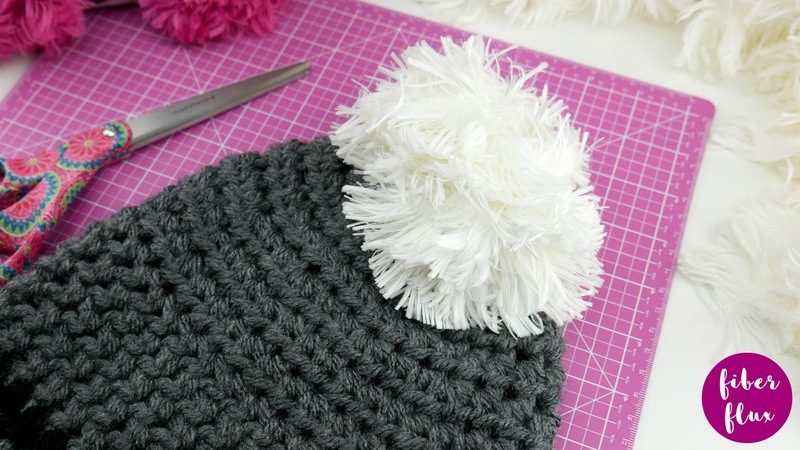 Note: Check out the video to watch how I make the pom pom step by step, including how I attach it to a hat! Cut a matching length of yarn about 12 inches long. Begin by wrapping the fur yarn around your fingers, I did about 10 wraps of the yarn around. Lay your scrap yarn out straight. Lay your yarn "bundle" down on top of the scrap piece. tie ends of the scrap yarn together very tightly and knot securely. Do not cut these tails, you'll use these to attach to the hat (or any item you want to add it to. Trim the two ends of fur yarn flush to the pom, they'll disappear into the pom. For this pom, no need to cut the loops of yarn, it will fluff out on its own! With a tapestry needle or your fingers, use the two yarn scrap ends to tie it to a hat, scarf, etc. Trim tails flush or weave into the inside of hat where it will be hidden. Like the hat from this tutorial & video? 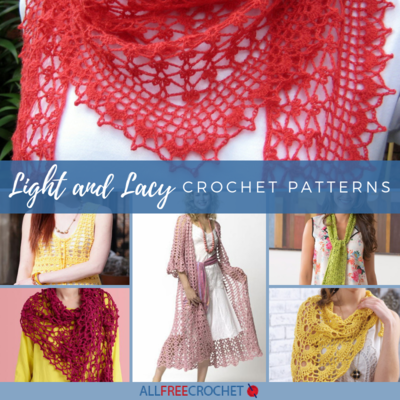 Get the free pattern HERE! Love crochet lace? Check out these lacy crochet pattern...all free!